Wow! Really that is the first thing that comes to mind when I think about this trip. It was truly amazing. My first ever summertime backpacking trip really rocked my world. 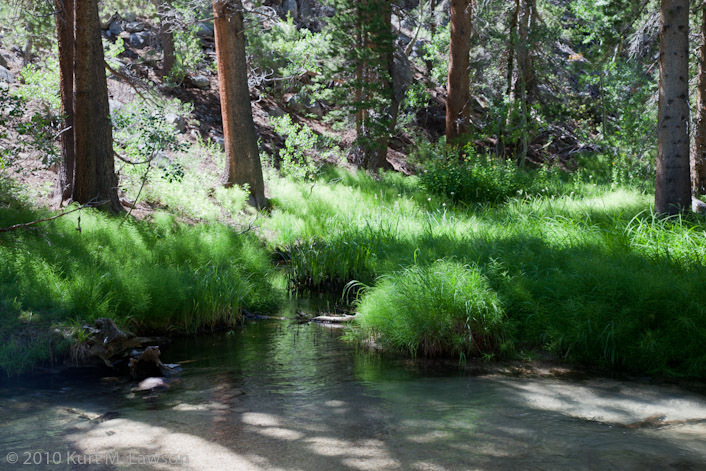 We went to an area called Big Pine Lakes to camp. This is a wonderful set of lakes some of which are fed by glacial waters from higher up. The glacial sediments suspended in the water make the water an incredible shade of blue. It’s just amazing to see. Not a bad place to camp! From the trailhead, we hiked 6 miles or so to our camp at Third Lake. From here, at around 10,000 feet, we would camp and set out for the Palisades Glacier the next day. Sam Mack Meadow is a beautiful stopover on the way up to the glacier. We stopped here to take a few moments to refill our water supplies before heading on up. Elevation here is about 11,000 feet. As we climbed, we got a good view of First, Second and Third lakes (top to bottom in the above pic). Finally, we got the view we were working towards. The Palisades Glacier. This glacier is the largest in the Sierras, and they are amongst the southernmost in North America. This was a truly breathtaking sight. Our view was from a ridge above the terminal lake at about 12,300 feet. We were essentially standing on the terminal moraine of the glacier when it extended much further. Click on the above panorama for a larger version on flickr. Above the Glacier are several 14,000 foot peaks (and some a little bit less), including North Palisade, Starlight Peak, Thunderbolt Peak, Mount Sill and Polemonium Peak. It’s a magnificent area. 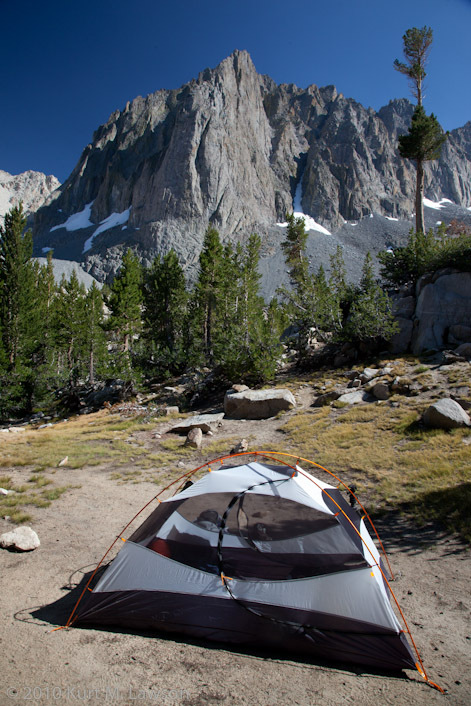 I was really captivated by Temple Crag, which loomed above our campsite. I could probably spend a week photographing this single mountain. Finally, the Perseid Meteor Shower was happening at the time we were there, and I tried to capture a few of them while looking at the amazing Temple Crag. It was an amazing trip. I hope to go back and explore the glacier up close, something our group voted not to do. It really was some of the most amazing scenery I have ever seen with my own eyes. Fabian - hi kurt, its fabian, we did this trip together and hiked mt baldy together! man these pictures are great but i remember it being more beautiful! i want to plan a trip to the area next year and make it to the glacier for sure! i think you, big mike and myself were the only ones wanting to make it to the glacier despite being probably the most out of shape!!!! haha! arnold sent me the link just now of the lighted switch back up whitney, how you came up with the idea of the picture is pretty amazing. well did arnold tell you about our trip on the high sierra trail in sequoia? man, i think it beats palisades! i got to photograph precipice lake, one of ansel’s most famous pictures. anyways, glad your still hiking, keep up the good work!!! Kurt - Hey Fabian. It’s always more beautiful in person. I want to go back there. 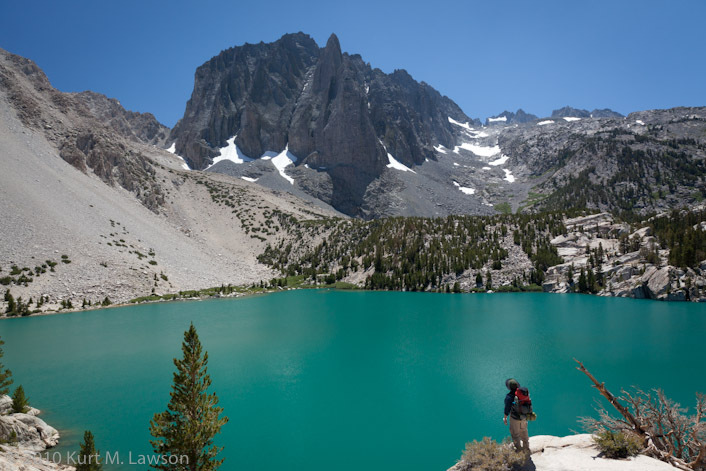 I also really want to go to Precipice Lake there on the High Sierra Trail like you and Arnold went to. Perhaps next year. fabian - Hey Kurt! My friend and myself will be doing Palisades Glacier this weekend, we will leave Friday at 7 PM and hike Saturday and Sunday, we just came up with the idea to do it yesterday. Lmk if you’re interested!